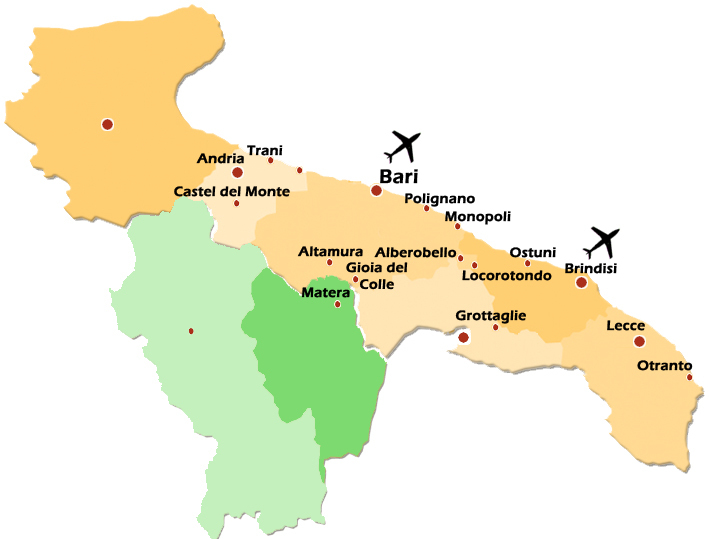 A special eight-days itinerary for wine lovers to discovering one great wines area in Southern Italy: Puglia. 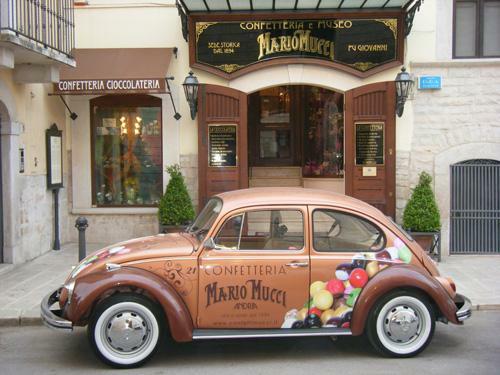 A full immersion in the wine world, through visits, tastings and food&wine experiences in awesome wine estates. You will sample – with at least three labels of wine, including the best cru – all the indigenous grapes like Nero di Troia, Primitivo and Negroamaro plus all the varieties of national and international grapes now permanently inhabiting the region, all of them receiving from the sun and the earth of Puglia an outstanding gifts, resulting in a very distinctive and impressive structure. Thanks to the passion and experience of local wine makers, the result is some authentic wines, mostly red, with a strong character and identity, a wide variety of terroir that is expressed in a rich and unmatched bouquet of aromas and flavors. Fall in love with Italian cuisines during awesome cooking experiences and exclusive tastings, and enjoy the time in pleasant itineraries, discovering art treasures and hidden cultural gems of this surprising region. 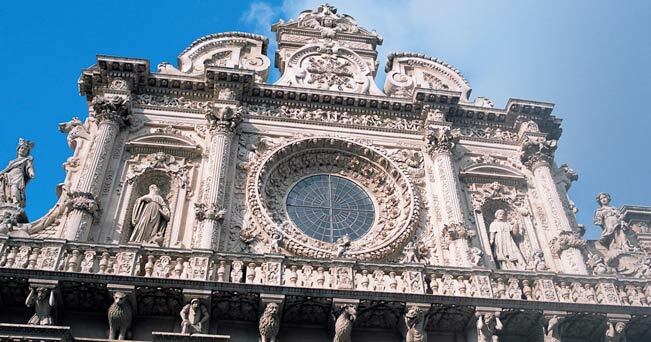 Arrival in Bari/Brindisi airport and transfer to your seafront hotel in Trani, where you’ll be welcomed with a drink. Brief introduction of the program and itinerary. Dining (a la carte beverages) in a local fish restaurant with tastings of Bombino and Moscato di Trani. This morning we will visit a local market to fully act like locals, truly a genuine experience! 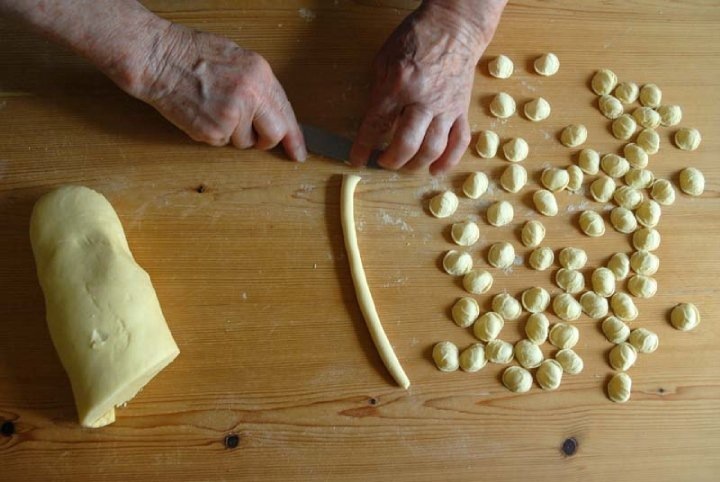 Your day in Andria continues with a visit to the Museum of Confetto with the sweetest tasting ever, then we fully appreciate why this town is renowned to be the hometown to the delicious burrata (made from mozzarella and cream) we’ll enjoy in a diary farm, along with a special lunch based with their range of dairy foods. Transfer to a magnificent wine estate owned by the Antinori’s family. Crossing the, approximately, 130 vine yarded hectares, we approach the farm that reminds us of the typical “masserie” of the Murgia with its structure and brilliant white tufaceous walls. After a tour of the cellar, you’ll taste some of their best wines – Castel del Monte Doc, Nero di Troia and Aglianico – just before a delightful dinner. 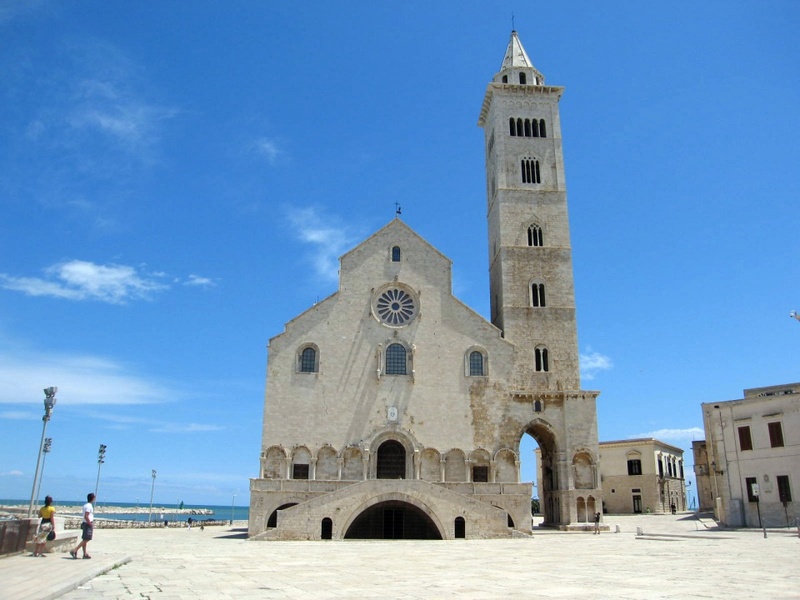 Visit of the coastal town of Trani, once the most important political-administrative centre of all of Southern Italy and as such was granted the title of main town in the region. This title was later revoked in favour of Bari by Murat and Bonaparte. We’ll visit the characteristic old town, hosting a Jewish quarter, its great harbour and its stunning Cathedral set right on the seafront. Transfer to an authentic oil mill with an opportunity to learn some valuable facts on the medieval peasant culture by walking through olive groves, caves and country roads. The Puglia region has over 50 millions olive trees and it’s the first producer of extra-virgin olive oil in Italy and the biggest single production region in the world. Tasting of the produce along with some other local delicacies. We’ll finally experience the whole range of the local street food – panzerotti, sgagliozze and popizze in a charming trattoria. Check-in at a charming 1600’ masseria (farmhouse) immersed in a wonderful expanse of olive trees. The first destination today is Gioia del Colle where we’ll visit a cellar producing one of the best Primitivo in the region. Transfer to Matera in the Basilicata region, another astonishing UNESCO World Heritage Site: this city has gained international fame for its ancient town, the “Sassi di Matera” (meaning “stones of Matera”). 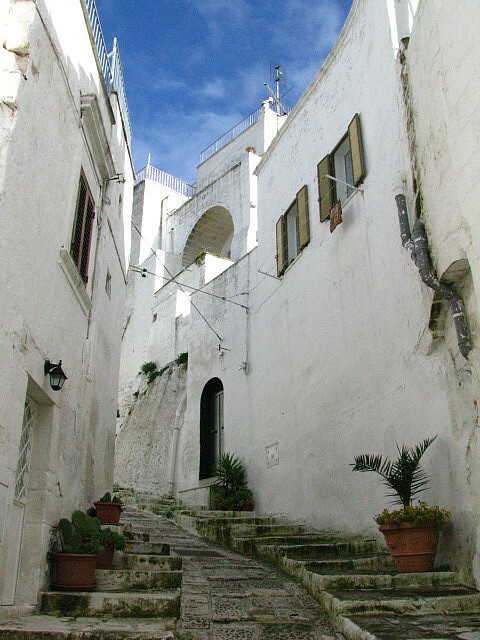 The Sassi originate from a prehistoric (troglodyte) settlement, and are suspected to be some of the first human settlements in Italy. Because of the ancient and primitive scenery in and around the Sassi, it has been used by filmmakers as the setting for ancient Jerusalem: a good number of famous biblical period motion pictures were filmed in Matera, amongst which Mel Gibson’s blockbuster “The Passion of the Christ”. Lunch in a typical restaurant where will also sample local varieties of Aglianico del Vulture. Your next destination today is the picturesque town of Polignano a Mare, where you’ll admire the impressive panoramas from the seaside terraces overhanging the rock, and why not, indulge yourself with a tasty gelato, pride of the locals. 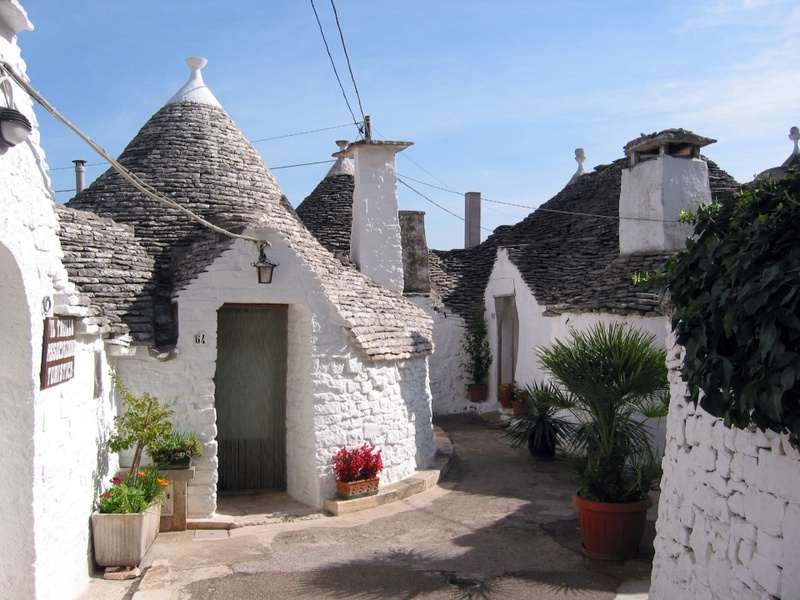 Guided walk of Alberobello, the World Heritage Site of fairy-tale trulli, traditional dry stone huts with conical roof, constructions specific to this area of the region. Transfer to a young winery for a tasting of their premium wines including Minutolo and Verdeca paired with a fine selection of appetizers. Dinner at a rooftop Michelin restaurant (a la carte beverages). Departure toward Grottaglie, the “city of ceramics” as it’s called because of the large number of traditional and artistic artisanal pottery laboratories scattered in this medieval town. Transfer to Lizzano to visit a fine winery for a tasting of some local grapes like Salice Salentino and Primitivo di Manduria accompanied with tasty appetizers. Spend the late afternoon in the enchanting seaside town of Gallipoli, stroll like a local in the old town and enjoy some raw seafood at the harbour straight from fishermen! Dinner at a local trattoria and check-in at your luxury Masseria. 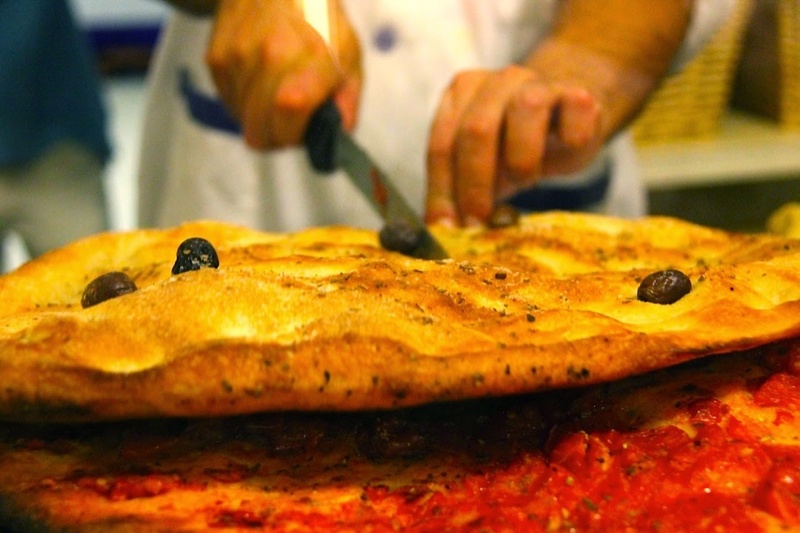 Early visit of Lecce, commonly nicknamed “The Florence of the South” because of its countless Baroque beauties, with its lovely centro storico (historic centre) and Roman ruins; treat yourself to local delicacies like puccia (flat bread filled with your choice of salami and everything else!) and pasticciotto (sweet cake filled with lemon custard). 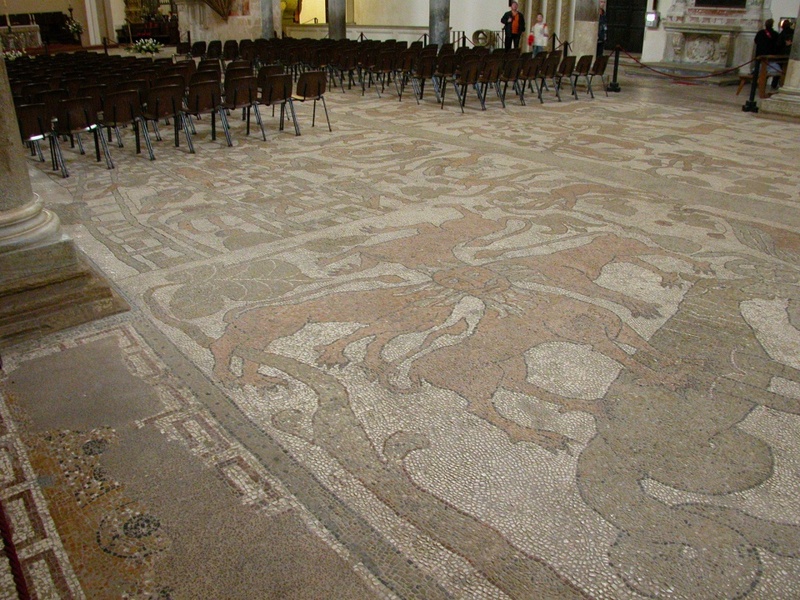 In the afternoon we will experience the last tastings of local glories like Negroamaro in a contemporary vinery before moving to the coastal town of Otranto, at the eastern extremity of Italy, with its castle overlooking the harbour and the Cathedral, preserving an incredibly big mosaic pavement. On the way back to Lecce we’ll dine in a typical Masseria, brightened by a group of traditional Pizzica folk dancers. Farewell meeting and transfer to Bari/Brindisi airport. 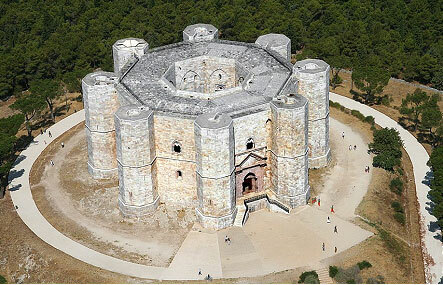 I would like to receive a quotation for "Puglia wine tour"